Comments - Striking early morning view of boats setting out for the day as the sun rises. 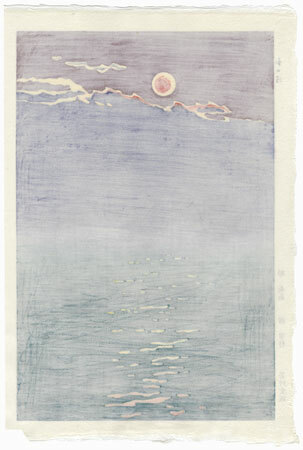 A purple mist floats above the deep blue-green waves, the orange and yellow sun reflected on the water. A bold, unusual shin-hanga design with fine bokashi shading.